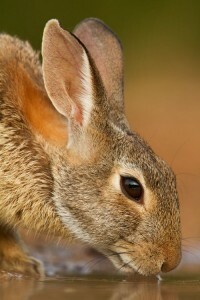 The rabbit has been a symbol of fertility and abundance for eons. The ancients of Mexico and the Japanese saw a rabbit in the moon, thus a lunar presence and guardian. In Greek mythology, the rabbit was associated with the great triple goddess of magic and the night, Hecate, who holds her lamp at the crossroads, lighting the path for seekers. The overall rabbit energies are silence, forest symbiosis, non-violent consumption, a gift of food and fur to humans, abundance and fertility, speed and stealth, being one with one’s surroundings. Those with a rabbit as a personal totem are excellent strategists and quick to move on opportunities. Rabbits nest in 28 day cycles, and this time frame reinforces their lunar significance as well as marking an opportune cycle for our projects. Rabbits also always have an escape route, and use their stillness as a defense. They move in complete silence through the forest and are supported by the abundance of Gaia, as much as they are part of her in their own abundance and as a gift to humans and animals in need of sustenance. When you see a rabbit, make sure to note what is on your mind in that moment – you may be being called to plan an exit, lay low, or jump away! Or you may be receiving a validation that creativity is going to have a dynamic effect in your life. When interpreting animal totems, don’t take anyone’s word for it – go with only the information that truly resonates with you, and feel free to channel your own messages directly from the animal. Animals are here in service, and they come to us to comfort, to heal, and to teach. Open your heart to seeing them truly, and ancient wisdom is yours, direct from Gaia.